An intimate evening with Andre Feriante and Troy Chapman. Cabaret style seating in Canyon Wren Recital Hall. Journey through the history of the world according to the guitar. Andre Feriante and Troy Chapman present their personal collection of musical instruments from around the world. All are relatives of the Guitar. From the ancient Oud and Tar, to the small but mighty Ukulele and Charango. 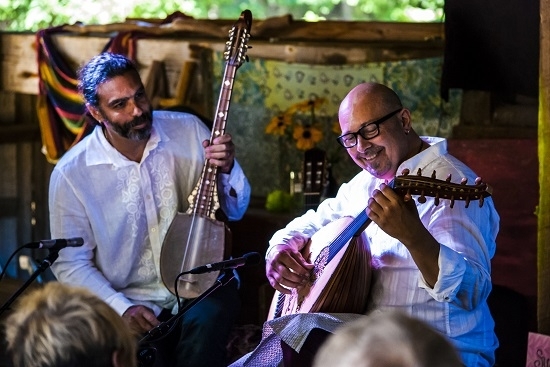 This duo of virtuoso musicians will present a selection of music that corresponds to the origins of each instrument.